To Floss or Not to Floss…. It’s a simple piece of string, sometimes flavored, often waxed. Simply wrap approximately 18 inches around your finger, and you have a powerful tool that can help prevent cavities and give your overall health a big boost. 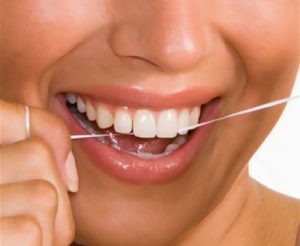 Dental floss dislodges food particles trapped between your teeth and under your gums where even the best of toothbrushes can’t reach. Left unchecked, bacterial buildup can lead to cavities, bad breath and gum disease. If that isn’t enough to get your attention, according to the ADA, gum disease is an inflammatory process that studies now suggest are linked to diabetes, heart disease and Alzheimer’s just to name a few. If you practiced “ideal dental hygiene” you would be flossing after every meal, which we all know is not usually possible for most people on the go. Most practitioners recommend at least flossing once per day, ideally 60 seconds before bedtime, after brushing for 2 minutes. That is a total of 3 minutes before bedtime to devote to your overall health and well-being. At Ted Hume Dental, our professional dental hygienists strongly advocate for proper dental hygiene habits at home. It is equally important to maintain your regularly scheduled professional dental hygiene appointments set for you by your dental professionals. There are simply areas that can only be reached and cleaned properly by a dental professional. However, doing your part daily at home can assist with those ever so annoying cavity bugs that fester in your mouth daily! Summertime means fun, sun and no school! 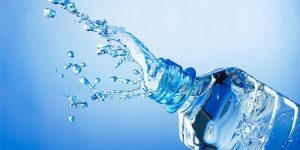 Summertime also means rising temperatures, and certain areas such as Texas and the south bring a whole new meaning to the term “HOT.” During these hot summer days it is very easy to become dehydrated. Probably easier than you even realize. Dehydration can lead to many unpleasant health conditions, not to mention leaves you lethargic and often unproductive. Below are a few tips of how to properly stay hydrated and beat the summer heat! Many people don’t realize that nutrients not only come in the form of foods but also in the form of water. In fact, water might be the most important nutrient of all. You can live quite sometime without food; however, only a few days without water. Drink enough water to prevent thirst. If you are thirsty you are already dehydrated. Small, frequent sips of water throughout the day is the best way to prevent thirst. Monitor fluid loss by checking the color of your urine. It should be pale yellow not dark yellow or cloudy. For short duration (less than 60 minutes) low-to-moderate-intensity activity, water is the choice to drink before, during and after exercise. Any time you exercise or have activities in extreme heat or for more than 1 hour, supplement water with a sports drink that contains electrolytes and 6% – 8% carbohydrates. This prevents “hypoatremia” (low blood sodium), which dilutes your blood and could also lead to serious impairment and even death via heat stroke. Begin exercise and activities well-hydrated. Drink plenty of fluids the day before and within the hour before, during and after your exercise or activity session. Avoid alcohol the day before or the day of a long exercise or activity bout in the heat. Eat copious amounts of fresh fruits and vegetables per day not only for optimum health, but they also contain various levels of water and the all-important component to avoid dehydration besides water – potassium. How much water should I drink on a daily basis? A good rule of thumb is a minimum of 1/2 your body weight in ounces. For example, if you weigh 150 lbs. you should be drinking a minimum of 75 ounces of water daily. Any exercise, activity, sun exposure. caffeine or alcohol intake will drastically increase this number to adequately stay hydrated. While health is the #1 reason to stay hydrated, studies indicate well-hydrated individuals often have higher performance levels in exercise and everyday work and task environments. Can you think of a reason to NOT stay hydrated? Dr. Hume realizes the importance of hydration for healthy patients, and challenges you to maintain optimum hydration this summer! Contact our office today to schedule your dental appointment this summer. 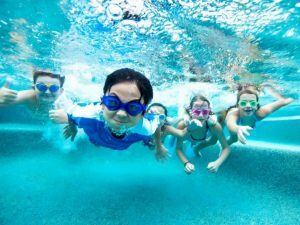 To kids summer is a time to play outside, go swimming, and enjoy all different types of adventures. Even thought it’s a carefree time of year, it’s still important for them to take care of their teeth. Below are 4 simple ways you can keep their teeth safe as the play from dawn to dusk. Good Oral Hygiene: Sometimes lackadaisical schedules leads to not brushing as often. It is important to set your brushing routine and stick to it. For younger children make a chart of checklist of things to do each day and make it fun for them to check off each time they brush. The importance of brushing at lest 2 times per day is imperative to maintain a “cavity-free” environment. Summertime is also a great time of year to get your teeth cleanings scheduled. There is no worry of missing any school time. Diving: If you plan on doing any scuba diving this summer you may experience something called “tooth squeeze.” or pain in the center of the tooth. The changes in air pressure combined with divers biting too hard on the regulators can result in jaw pain, gum issues or tooth pain. Have the whole family’s teeth cleaned and examined prior to any scuba excursions. Pool Safety: many summertime dental injuries occur around the pool. Two of the most common causes are slipping or falling, and playing too rough. Talk to your children to make sure they do not run around the pool or roughhouse in or around the pool. You only have 1 set of adult teeth and severe injuries can lead to a lifetime of dental procedures. Summer Sports: When playing any contact sport – even if it’s just for fun – make sure your children wear helmets and dental mouth-guards. Mouth-guards prevent more than 200,00 dental injuries each year. They are easily made by Ted Hume DDS, and can be ready within a few days. Summertime can go from fun to injury in the blink of an eye. Keep you children safe and always contact Ted Hume Dental to schedule your professional dental cleaning appointment and check-up to maintaining a bright & healthy smile! Are you tired of waking up from a full nights rest and still feeling tired? 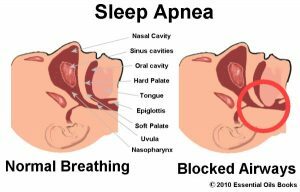 Obstructive sleep apnea is a condition in which a person stops breathing periodically throughout the night due to physical obstructions of the airway. These “apneas,” or repeated interruptions can lead to many debilitating symptoms and left untreated can lead to life threatening diseases. The good news is Dr. Hume can help! There are many dental devices that are approved to treat sleep apnea without having to wear the dreaded CPAP machine, or sometimes referred to as the “Darth Vader Mask.” Dr. Hume uses a device called the tap dental device. Click the link http://tapintosleep.com to learn more about this device pictured below. These devices position the jaw in a manner that opens up the airway leading to increased oxygen intake. After an evaluation and simple set of impression at the dental office, you can return for your device and be on your way to better rest in less than a week! Is your snoring so loud it can be heard through a door or wall? Do you occasionally doze, or fall asleep during the day when you are not busy or active? If you answered yes to 3 or more of these questions you might be a candidate for the dental devices we offer. Contact Ted Hume Dental today for an appointment, and get on your way to better nights sleep now! While smoking and tobacco use are still major risk factors, the fastest growing segment of oral cancer patients is young, healthy, nonsmoking individuals due to the connection to the HPV virus. We cannot stop this virus from spreading; our only hope to save lives is with professional involvement and public awareness. This is your opportunity to get involved and give back to your community in hopes to raise oral cancer awareness and the need for early detection in order to save lives. Together, we have the opportunity to make a difference in the world of oral cancers. Ted Hume DDS provides oral cancer screenings at any professional dental cleaning appointments. Ask your hygienist about the screening – you might be amazed at what all goes into a screening that you probably never noticed at previous appointments. If you have not been in for your professional dental cleaning contact Ted Hume Dental today to schedule at your convenience. Get the bright and sunny smile you have always wanted with Zoom professional in-office whitening system. Stains on your teeth accumulate over time and to varying degrees of intensity. In just one appointment Zoom can take you up to 8 shades whiter. Studies show a whiter smile leads to confidence in many aspects of a persons life. Have you ever wondered how teeth whitening actually works? Your teeth are made up of thousands of microscopic pores. Over time these pores collect stain from things we ingest such as coffee, tea, wine and other foods. No matter how great your oral hygiene is – your teeth will still stain. Teeth whitening works by applying a bleaching solution to the surface of your teeth. The best results come from very specific chemical combinations of ingredients. The Zoom professional whitening system opens up your pores and allows the solution to get deep into each pore removing the maximum amount of stains from your teeth. There are a few things to keep in mind when whitening. After whitening the pores of your teeth are dilated or open wider than normal. This is the process that can lead to sensitivity. Hydrating with plenty of water and avoiding foods and liquids that could stain a white t-shirt is the best way to maintain that great white result you achieved. Pores usually close back up within approximately 48 hours. The best time to whiten your teeth is after a professional dental cleaning. Maintenance on your results can be necessary and achieved by take-home whitening products available from our office. Our office is offering a $200 courtesy from our regular Zoom price during Spring Break week! Contact our office today and begin your process of achieving the smile you have always wanted. The month of February always brings the topic of love to many peoples minds. It is usually full of hearts, flowers and chocolate. The truth is – regardless of the emphasis February puts on Valentine’s Day and all that it encompasses research has shown that the emotion “love” can have many benefits to a person’s life and well-being. Wether that be personally or professionally one can agree there is nothing wrong with improving either right? Love can also be described as actions towards others based on compassion, or as actions towards others based on affection. Although the technical definition of love brings a variety of meanings and interpretations, the health benefits of love are easy to identify and much more obvious. 1. Love produces positive emotions. 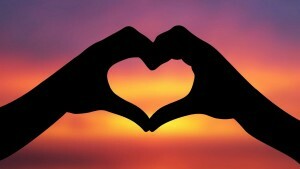 Love is known to bring about many positive emotions. Laughter is on of the more prominent emotions that rises out of love. Laughter is known to be healing to the soul and good for your mental well-being. After all – laughter is the best medicine – right? It is a very powerful antidote to fight stress, conflict and pain both mentally and physically. Love also has the power to heal and renew ones mental, emotional and physical well being. Research shows that loving acts neutralize the kind of negative emotions that adversely affect immune, endocrine and cardiovascular function. I think everyone can agree these benefits can be seen as positive for both your personal and professional lives. 2. Love helps your live longer and fight disease. Who doesn’t want to be healthier and live longer? Many studies have shown that patients who are diagnosed with cancer have recovered from treatments faster when they had strong family connections. Also, those in loving relationships recovered quicker or completely eliminated the cancer with no scientific explanation other than the fact that the patient had great love and support from close family and friends. The feeling of “butterflies in your stomach” is an actual physical reaction caused when our body responds to the strong attractions that is feel when one is “falling in love” or “in love” with someone else. Physically, your heart rate increases which causes increased blood flow to all parts of your body. This actually has been proven to have a positive effect on the mind and body. Many studies prove that people in a loving, long-term relationship have longer average life spans than those that are not in a partnership. Typically, when you’re in a relationship, your partner cares about your health. Therefore, he or she will encourage you to watch you health and discourage bad habits. “Endorphins are the key,” according to the National Institute of Health. Love triggers the hormone oxytocin which makes us feel good. It also lowers the levels of stress chemicals in our system. Even with these 3 brief explanations of why love is important to everyone, hopefully you have a better understanding of the long-lasting benefits love can bring into a persons life. Whether you are a small business owner, or an employee of a large corporation, having love in your life can benefit you at work as well as at home. Fewer sick days, happier moods and energy all bring about positive outcomes in day-to-day interactions. Dr. Hume and the Ted Hume Dental Team aim to provide you with preventative and restorative dental care. However, we also care about your entire well-being and health. Sometimes “laughter is the best medicine.” Hopefully your life is filled with love bringing positive feelings and emotions benefiting your entire life. Stress – Does it affect your teeth? Stress – We all have it…it’s how we handle the stress that determines it’s effects on our body. Unfortunately, for the majority of people, teeth are directly impacted by stress. Teeth clenching and/or grinding can wreak havoc on your mouth. Many people have even cracked a tooth from clenching and/or grinding – sometimes leading to tooth loss. The definition of bruxism is the involuntary or habitual grinding of teeth. Many of these symptoms often appear worse in the morning time after a long night of grinding away at your pearly whites. However, some people even clench or grind their teeth during daily tasks. For example, tasks including exercise, house work and driving are often triggers of clenching and grinding of teeth. If you notice after completing tasks such as these that your teeth are sore you are probably clenching and grinding while performing these tasks. 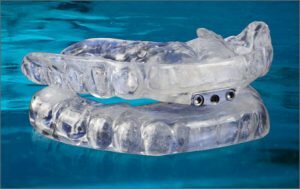 Investing in a professionally made dental night-guard is a great option to prevent damage to your teeth. The process to have a night-guard made is simple and painless. Contact Ted Hume Dental today at (214) 361-7335 to schedule your appointment today and protect your smile! Comments Off on Stress – Does it affect your teeth? Communication is the foundation of any relationship. The definition of communication is: clear message sent and clear message received. Many people do not realize the vital role they play in their own healthcare. The expertise of your physicians are at best very limited without you communicating the whole picture that accompanies your symptoms. It is vital that you ask questions and come prepared to each and every appointment with your physicians to stay on top of your healthcare. This allows you to focus on prevention of disease rather than waiting until severe symptoms are present – usually meaning disease is in full-effect. Ask Questions: Physicians operate under strict time restraints of your appointments set by insurance companies. Often times their wealth of knowledge comes out in ways many non-medical persons can understand. If something comes up during your appointment that you don’t quite understand – do not be afraid to stop and ask your doctor to explain again so you can understand. Also don’t be afraid to ask questions of ideas you may have about your own health. You live with your conditions every day and notice subtle nuances that your doctor could never possibly know. This can lead to research and ideas about your own health that the doctor might not have even considered. Be Prepared: Again, because time restraints are put on your doctor visits there might not be time to cover everything you have in mind. It helps to make a list of the most important issues to cover and take it with you. Don’t get distracted on tangents that aren’t on your list. If there is an issue that is pressing on your mind it is best to get this out first. Then you can focus on the remaining items you would like to cover. Communicate: This means being assertive. If you have concerns about the treatment plan offered by your physician don’t hesitate to ask if there are options. For example, if your doctor recommends expensive tests or lab work don’t be afraid to state that you are worried about your financial obligation for these procedures. Often times they can work with your insurance company to select laboratories or imaging centers that will lower your out-of-pocket costs. Practicing these few suggestions will all assist you in becoming your own healthcare advocate in 2016 and beyond. Dr. Hume encourages you to be your own healthcare advocate. If you ever have questions or concerns about your appointments do not hesitate to ask. Here’s to a happy and healthy future for each of you! 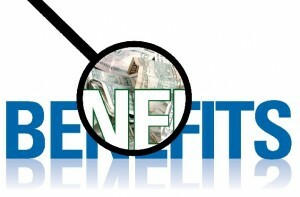 Many people do not realize the scope of benefits offered from their company that can assist with your dental treatment. Take advantage of benefits offered to you as assistance in achieving your dental goals. Our office strives to utilize your entire scope of benefits to their maximum as aid with your dental expenses. There is a difference in being “benefit driven” and “optimizing benefits.” Many patients often wonder why Dr. Hume is not an “in-network provider” for dental insurance plans. Dental insurance plans set regulations and guidelines on the standard of care dentists can provide to their patients. Dr. Hume feels that he should be able to determine his own definition of “standard of care” not your insurance company. Inquire with your HR department to explore all of your options and consider any unscheduled dental treatment or procedures to utilize these benefits. Contact the office today to schedule your appointment before the end of year approaches. We look forward to seeing you soon!